Good binoculars are indispensible for spotting wildlife. Looking through a rifle scope or binoculars makes distant objects appear closer than they really are. This magnification is useful in surveying distant landmarks or targeting a shot. These scopes are really refracting telescopes using two lenses to magnify objects and operate by many of the same principles as the refracting telescopes which employ mirrors commonly used by astronomers. The lens near the eye is referred to as the ocular lens, while the lens at the far end of the scope is termed the objective lens. 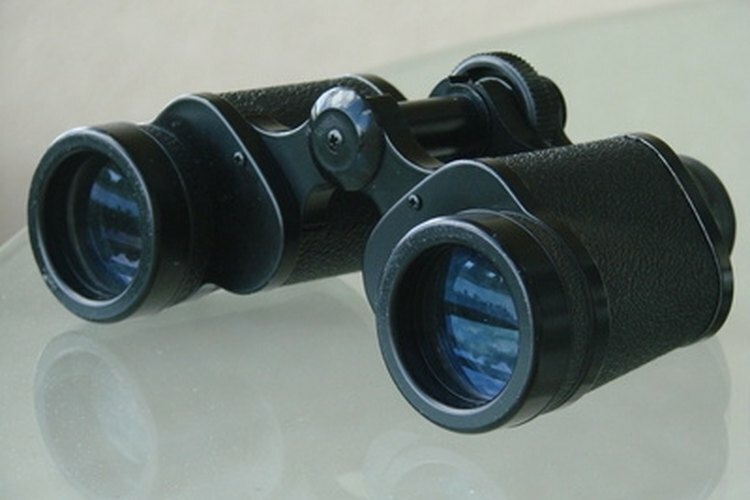 The magnification of the scope depends on the focal lengths of these two lenses. Identify the numbers describing the scope. Two important numbers are given with scopes. The first number indicates the magnification power of the scope and the second number gives the diameter of the objective lens (the lens at the far end of the scope). For example, a 4 by 40 mm scope has a magnification power of 4 and a 40 mm diameter objective lens. Identify the number indicating the magnification power of the scope. This number describes how much larger an object will appear when looking through the scope. Some scopes give a range for magnification and can be adjusted. For example, a 6-24 by 72 mm scope has a range of magnification between 6 power and 24 power. Identify the diameter of the objective lens. A large objective lens allows more light to pass into the scope making an image seem brighter than a smaller objective lens. A large objective lens also increases the field of view of the scope. A scope with a small objective lens can produce high magnification but with a very limited field of view. Calculate the exit pupil of the scope by dividing the objective lens by the magnification power. The exit pupil is the size of the column of light exiting the eyepiece. Ideally, the exit pupil approximates the size of the pupil of the observer's eye at a comfortable distance from the scope.